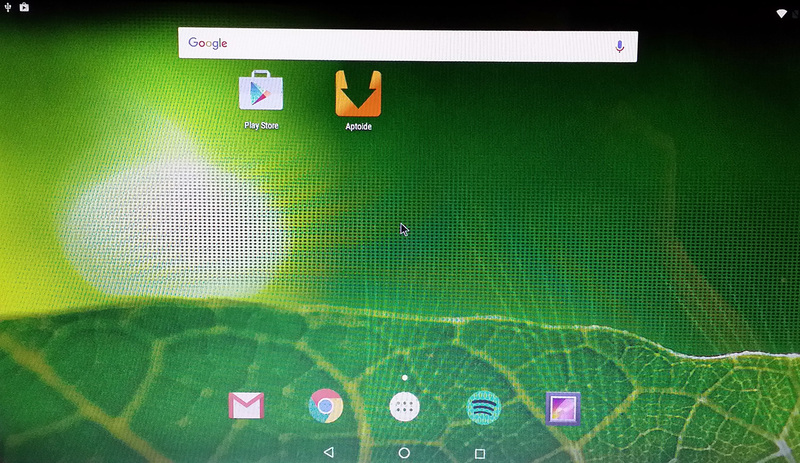 My build of Android-x86 Marshmallow 6.0 has GAPPS pre-installed. I.e. Google Play Services, Google Play Store, Maps, Gmail, YouTube and more apps. For example: Aptoide, Spotify, Facebook, Google Chrome and OfficeSuite 8. The ISO is called android-x86-6.0-marshmallow-kernel-4.0.9-exton-GAPPS-692mb-151206.iso. AndEX Marshmallow Build 151206 is totally error-free (as far as I know). Google Chrome was installed as a replacement for the original Browser, which didn’t work properly. (Nothing could be downloaded). 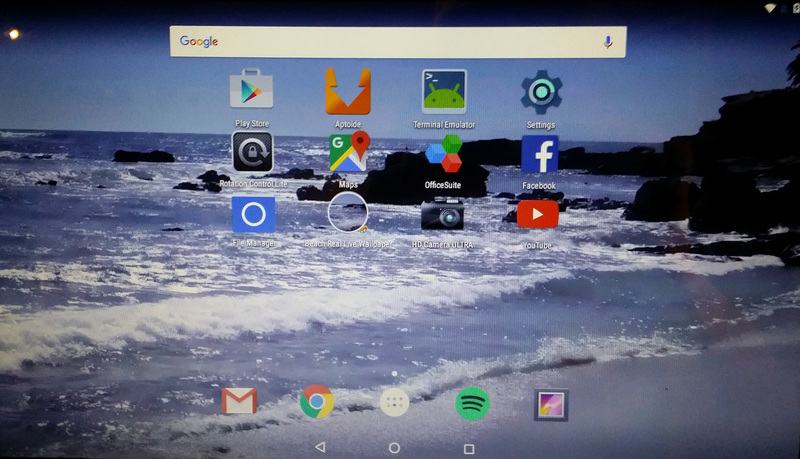 My compiled Android-x86 system (Marshmallow 6.0) can run live (from CD) or be installed on almost all laptops (and some Desktop computers). For example Acer (Aspire), HP, Samsung, Dell, Toshiba, Lenovo, Thinkpad, Fujitsu, Panasonic and Ausus laptops. The Android system is distributed in the form of an ISO file as the rest of my Linux distributions. I.e. you must (as usual) burn the ISO file to a CD if you want to run the system live on your computer or install it to hard drive. Read about how to burn ISO files. Or skip that. Just use ImgBurn. Nothing can go wrong. Marshmallow 6.0 is the latest version of the Android mobile operating system developed by Google. I call my remaster of it AndEX Marshmallow Live CD. It uses “my” special kernel 4.0.9-exton-android-x86 with some extra features. I.e. extra drivers. My Android-x86 KitKat 4.4.4 build from 2015-07-21 will also cost you 9 $. I has one advantage over the Marshmallow and Lollipop versions: The system can be used also on older laptops. Read more about the KitKat 4.4.4 version 150721 or DOWNLOAD it instantly. Use Google Play Store or Aptoide Apps Store, which are pre-installed. Just make your choices! One suggestion: Google Camera or HD Camera ULTRA. Say for example that you have a laptop with Windows 10 installed as the only operating system. If you just create one extra partition of about 5 GB you can install Android Marsmallow on this extra partition and then “dual-boot”. I.e. you can turn on your computer (called “booting it up”) and decide whether you want to start Windows or Android Marsmallow. Grub will be installed as boot handler/loader during the installation of Android Marshmallow. Note: The installation will take only about one minute. And the installation to hard drive is so simple that a 10 year old child can do it. Bluetooth is working as expected. Just enable Bluetooth in settings and you can share anything with your other Bluetooth devices. To make it easy install Bluetooth File Share. You can (of course) run AndEX Marshmallow in any language. Just go to Settings and change to your preferred language. The changes will take immediate effect. This can (of course) also be done while running the system live (from CD/USB). You can’t mount (reach) your internal hard drive. You can however mount a “normal” USB stick. Just go to Settings >> Storage & USB. It will look like this. (I have mounted a USB stick 3.72 GB with CRUX/CruxEX on it). You can also install ES File Explorer and use it to mount external USB hard disks and “normal” USB sticks. The support for Broadcom Wireless cards in not complete (in the Android-x86 project). I have experience from two different cards – BCM4311 and BCM43142. The first mentioned one works. Read my instruction. Learn how you can run AndEX from a USB stick with persistence. Read under A). You can’t run AndEX Marshmallow in VirtualBox. I.e. the system will start up properly, but you can’t reach the Desktop. The problem is that you can’t get a Internet connection. You will get a message saying “To see available networks, turn Wi-Fi on”. That can’t be done. (And it doesn’t matter if you have a wired connection). 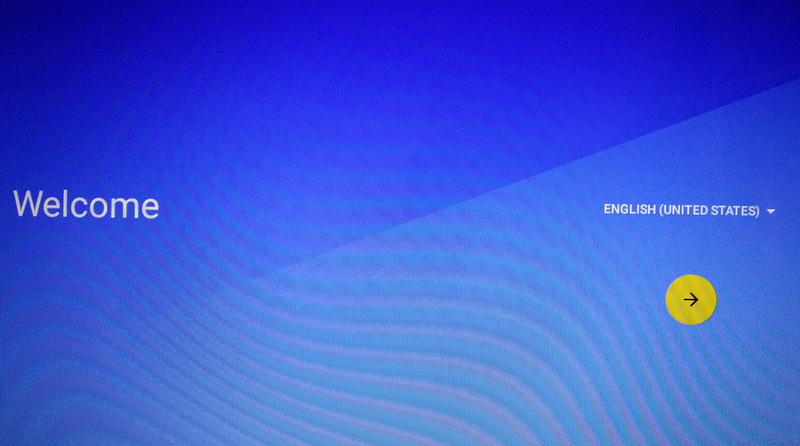 Maybe this problem can be fixed by changing VirtualBox’s Network settings, but I have had no success with that (yet). Note: My Lollipop (151010) and KitKat (150721) versions can run very well in VirtualBox. Well, if you like your Android phone and all the apps you have installed on it I’m sure you will also like to run apps from your laptop. Bigger screen and better sound etc. Also: In AndEX Marshmallow Build 151206 almost all apps and games can be installed via Google Play Store. Still not convinced? Then read my article about “How useful an Androx-x86 system can be for the average computer user“. You must use a fairly new/modern computer. Android-x86 Marshmallow won’t run (even start) on older computers. My other Android remaster KitKat 4.4.4 Build 150721 will run also on older computers. 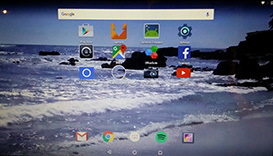 Before you buy and download this version of AndEX Marshmallow you must be aware of that not all apps downloaded from Google Play Store can run in an Android-x86 system. Some very big (around 1GB) games for example won’t run. On the other hand I could run Pes Club Manager, which is of 866 MB. This Marshmallow build has been replaced by AndEX Marshmallow 6.0.1 Build 160131. Note3: The AndEX Lollipop ISO has been out on SourceForge.net and the Swedish Linux Society for free from 150307 until 150402. The ISO file was downloaded about 50000 times during that period. More than any of my other Linux distributions (ever).